South Gulf Cove is a waterfront community that was started in the late 1970s. It has a voluntary homeowners’ association that was established in the early 1980s, as well as an Architectural Review Committee for anyone wanting to build a new home in the community. 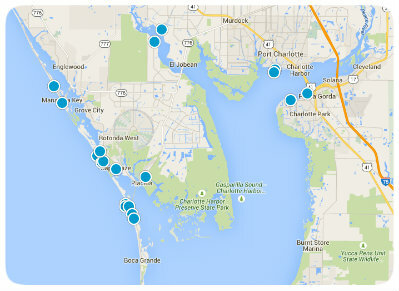 Boaters using the convenience of a remote control device operated from the boat can access Charlotte Harbor and the Gulf of Mexico through a lock system located at the north end of the community. There are several newer parks that were built throughout the community, along with a boat ramp for those that do not live directly on the water. South Gulf Cove is a short drive to Boca Grande and Englewood Beaches, the Tampa Bay Rays Spring Training Park, shopping golfing, and dining. Start your search for South Gulf Cove real estate here!